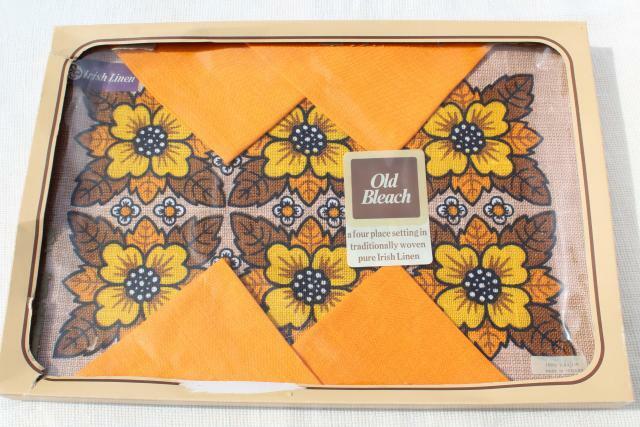 60s or 70s vintage pure flax linen table set - four placemats printed with mod daisy floral and solid harvest gold napkins to match! 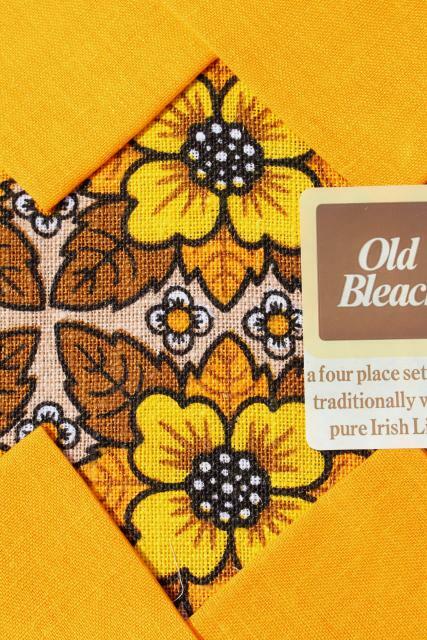 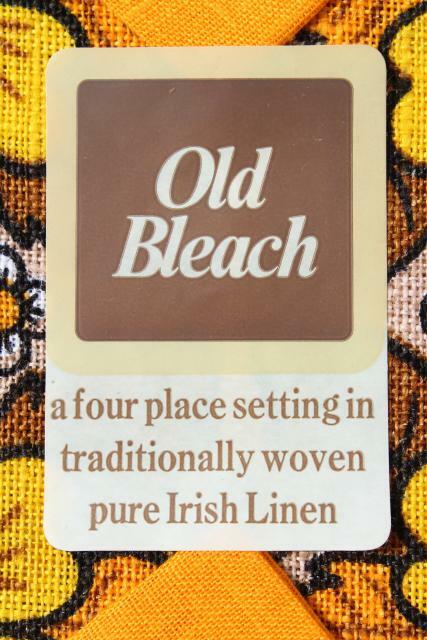 Label is 'Old Bleach - Ireland'. 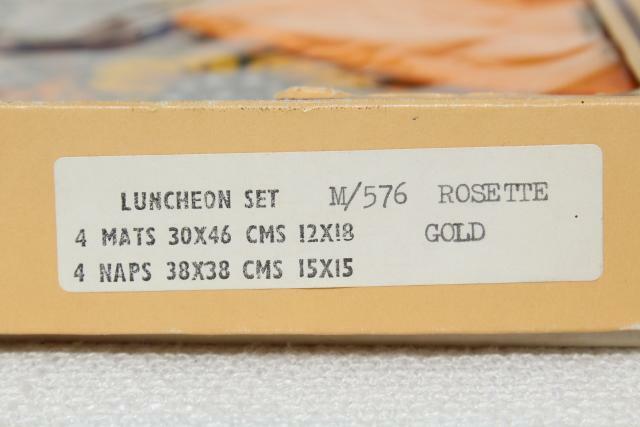 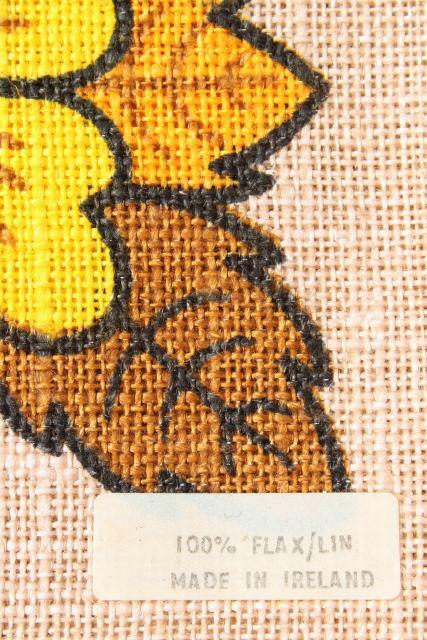 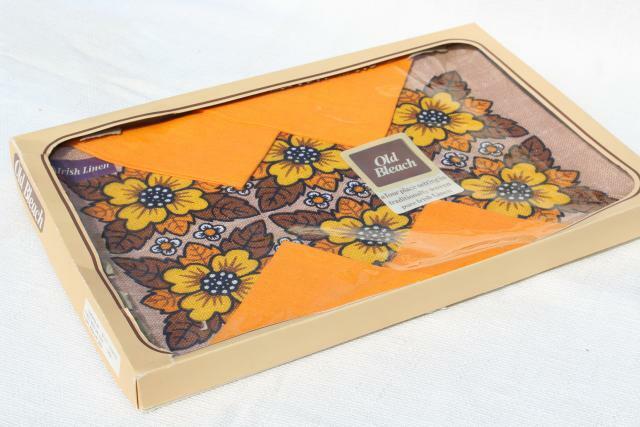 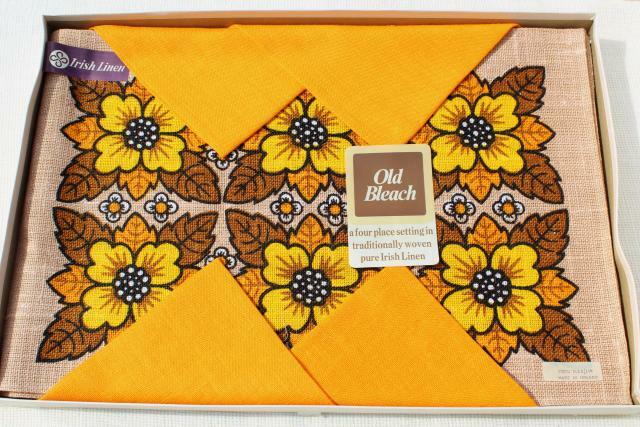 The original box is worn, but the linens themselves are unused, in excellent condition.